The MEPC will next meet May 11–15, in London. The meeting agenda includes, among other things, a plenary discussion on the future of black carbon work within the IMO. The papers submitted for that discussion reflect a broad spectrum of views: the Russian Federation submission advocates removing maritime black carbon issues from consideration, effectively ending all IMO work on black carbon, while Canada and Norway propose to move forward with recommendations for a black carbon testing protocol on the heels of the January working group outcome. The argument posed by the Russian Federation, that the impact of black carbon from shipping is negligible, is not new. 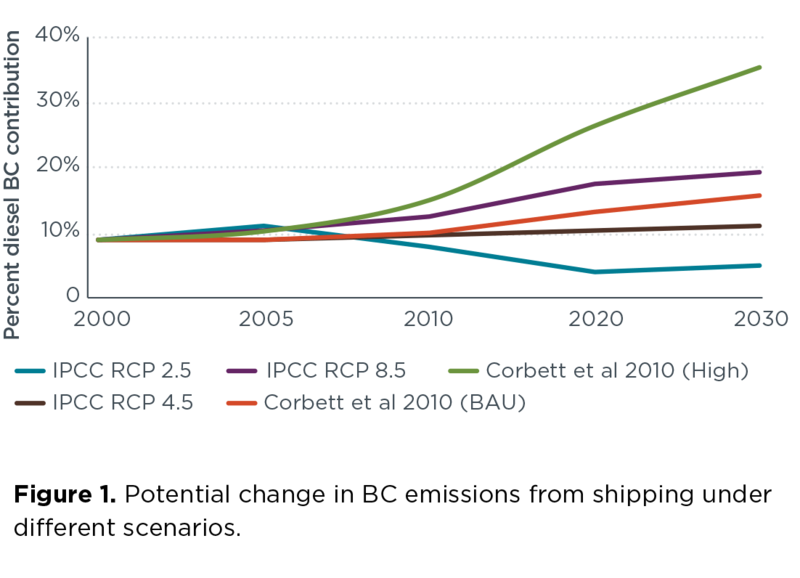 It echoes a position that has been expressed by doubters of this IMO work since 2011 and is based in part on estimates that shipping contributes only 2% of global BC emissions. That 2% estimate is frequently repeated because it supposedly supports a view that maritime black carbon emissions are not important, and because, frankly, there hasn’t been a solidly better number. Our understanding of black carbon is growing rapidly but much remains to be done (see the presentations at this workshop for a thorough overview of the research that’s going on). But repeating a number based on conventional wisdom without understanding the underlying assumptions can lead to poor policy conclusions. We set out to evaluate the 2% figure to determine whether it is a reasonable, accurate estimate of the importance of black carbon emissions from the marine sector. The results are here. Simply comparing black carbon emissions from vessels to all black carbon emissions is an apples-to-broccoli exercise: it assumes that all black carbon emissions are equivalent, but in reality, they aren’t, and can’t be compared as such. For example, black carbon emissions from forest fires contain more organic carbon and can actually create a cooling effect on the atmosphere; not so for diesel source black carbon. A better approach is to compare black carbon from shipping toother diesel sources, which are the sources of black carbon most strongly linked with warming. This improved comparison reveals that in the year 2000 shipping contributed somewhere between 7% to 9% of black carbon emissions from diesel sources. And it has not diminished—just the opposite. When compared with 2010 emissions, the marine sector’s contribution rises to between 8% and 13%. Looking forward, global shipping is likely to maintain that share, while regional emissions in areas like the Arctic will increase. Those are significant numbers, and they powerfully support the view that the IMO should continue its work to develop better measurement approaches and control measures for black carbon emissions from ships. We are looking forward to a lively plenary debate and progress at MEPC in May. Watch this space. 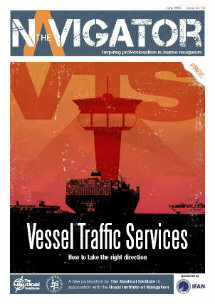 The article, reproduced here with the author’s kind permission, was written by Alyson Azzara, Senior Policy Advisor, U.S. Committee on the Marine Transportation System (CMTS), U.S. Department of Transportation. The article was initially published in the ICCT blogs. Alyson holds a Ph.D. in Marine Biology from Texas A&M University at Galveston and an MSc in Oceanography from Texas A&M University.